idex hearing aids don’t just sound spectacular. They look spectacular too. Combining technology with functionality and aesthetics is a typical attribute of the Widex design. Of course for Widex, good design doesn’t just apply to the outside of our hearing aids but the inside as well. The Widex Sound means that you can hear a full spectrum of sounds – from background noise, to whispers, to voices in a crowd. But it goes beyond that. Widex makes sure that all their hearing aids can be fit so that they suit your exact hearing loss and the way you listen. They are designed to be comfortable to wear and for you to hear the most natural sound possible. Whoever you are and wherever you are. Call (520) 378-1212 or make your hearing evaluation appointment. 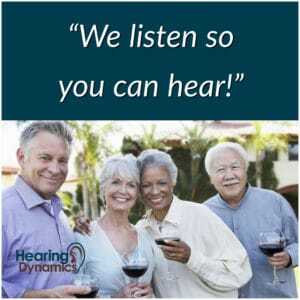 However, today it is more and more common to meet people with hearing aids due to the noisy world we live in. Many young people suffer from hearing loss as they are exposed to noise constantly. Hearing aids are not what they used to be. If you have an image of big beige hearing aids whistling in the ear you can rest assure that this belongs in the past. Who would have thought that hearing aids would end up being so sleek and stylish? Today’s size and technology is a positive surprise to many people with hearing loss. There are so many possibilities of getting aids that are comfortable with true to life sound and at the same time being so small that only you will know that you are wearing them. Call (520) 378-1212 or make your hearing evaluation appointment today.